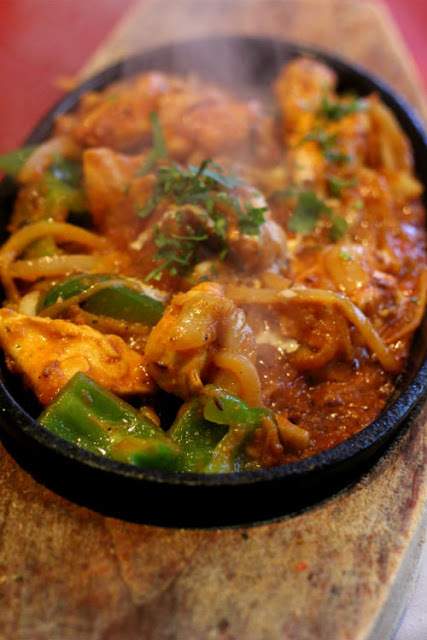 I'm eating around the world without leaving London and this week I had Nepalese food at Monty's in Fulham. Apparently there are three of them scattered around London, with the one in Ealing being the original one. There is another one in Kingston and then the one I went to, on Fulham Road. The Fulham branch is located on the far end of the Fulham Road, by some pubs and Italian restaurants, with an inconspicuous signage on its facade. Inside the decor is just as simple; the furniture is rather plain, the table settings modest which they tried to balance out with the colourful wall ornaments depicting the Himalayas and Hindu goddesses. The food however, is anything but simple. There is a large selection of Indian favourites that will score points among Brits, I assume, but I was more interested in the Nepalese section. Obviously. 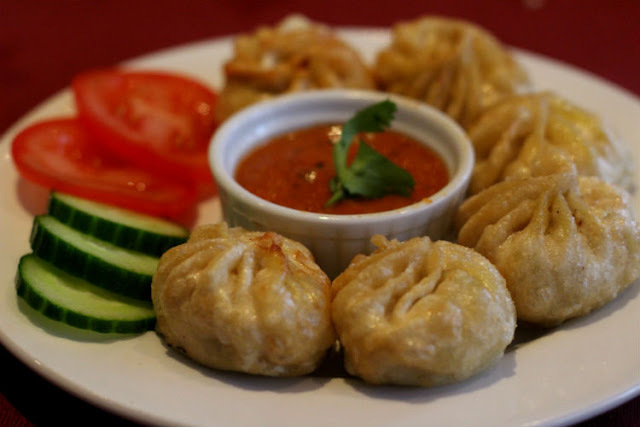 We started off with two portions of chicken momos, which were delicious parcels of minced chicken, onion and ginger. It came with a very spicy dipping sauce, which frankly wasn't all that spicy compared to what was yet to come. I loved how the waiter made a real effort to put some garnish on the plate as soon as he saw me taking pictures of the dish. 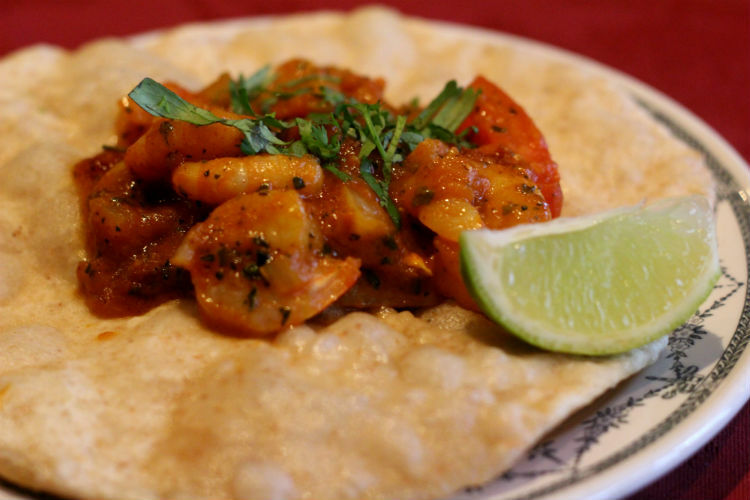 We also shared a portion of prawn puri, which was served in a spicy red sauce, draped on a fluffy naan-like bread. I went for a sizzling Tareko Kukhura; pieces of grilled chicken in a tomato and green pepper sauce with onions and garlic. It was so spicy, I broke out in a sweat after just one spoonful. I really loved it nonetheless. My friends had the Kashi Ko Bhutuwa, which consisted of little morsels of lamb and was drenched in a sauce that looked just like the one I had. Apparently it was just as spicy. We ordered another bottle to extinguish the fire on our tongues and left dessert for what it was. 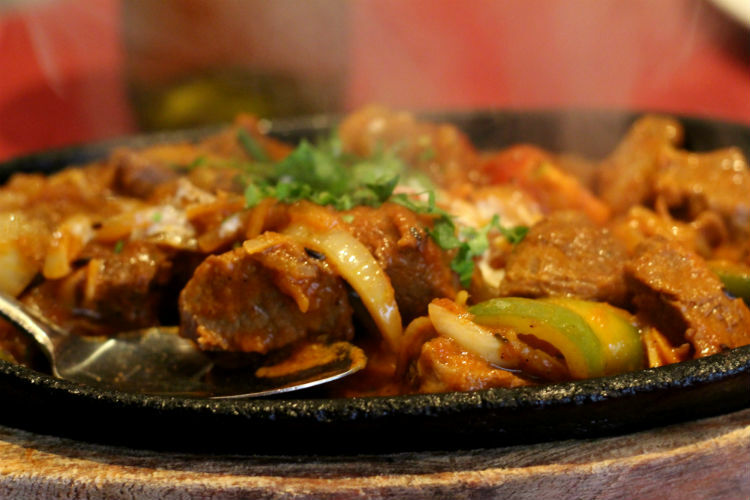 I loved our meal at Monty's and their menu is great for those who want to spice up an Indian meal. Literally. This looks delicious! A great find in Fulham! Yes, it was certainly worth the trip there. And there are lots of options for afters. It really was, but there were lots of 'standard' Indian options on the menu there as well. Wow! This made me remember my trip to Nepal. I spent 3 months travelling just in Nepal and I fell in love with the people and food. My favorites were the momos and Im so glad you included them! Those momos were the best of the entire meal, as far as I am concerned. Loved them. Momos, oh Momos I could write an ode to them! haha. I can totally see why you would!! Loved them.